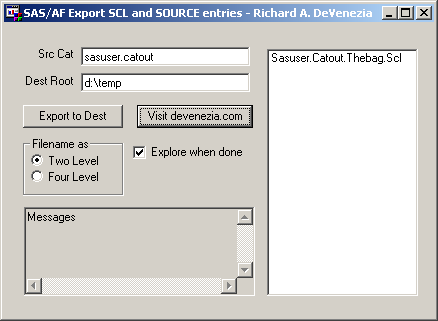 Export each SCL and SOURCE entry of a catalog to individual text files. When the build window opens, the FILE command stacked via execcmd runs, saving the source to the text file specified as path. This page was last updated 03 January 2005.